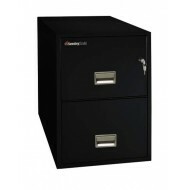 The 2-1929-2 is a two (2) drawer fireproof file cabinet designed to hold letter size documents. 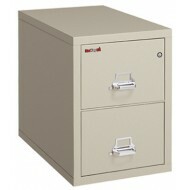 Proudly made in the USA it has superior fire protection and has earned a 2 hour UL rated firproof label. 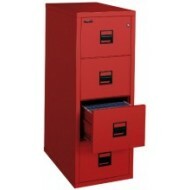 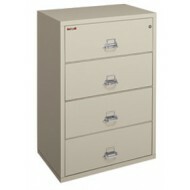 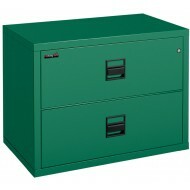 This is a vertical file cabinet with a Medeco high security key lock. 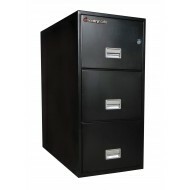 For quickest delivery, chose from in stock colors: Black, Platinum, Parchment. 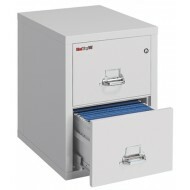 The 25 Series of FireKing fireproof files, while smaller and space saving, have the great features of the bigger models. 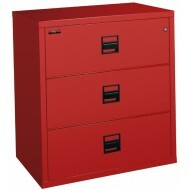 The 2-2125 is a two (2) drawer vertical file which is UL rated water resistant and UL rated fireproof (one hour). 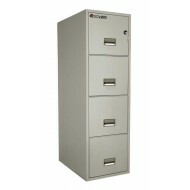 This model is designed to hold legal size documents in the Accuride suspension drawer system. 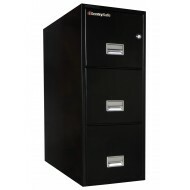 For quickest delivery, pick from our in-stock colors Black, Platinum or Parchment.